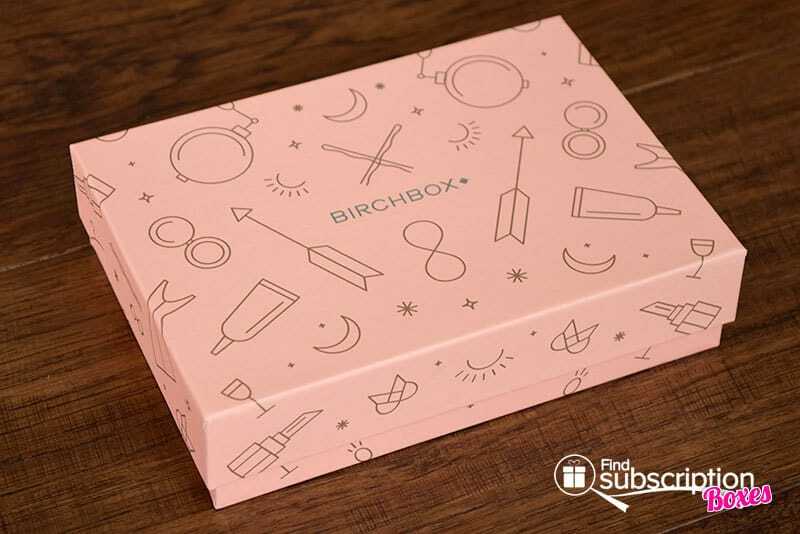 Birchbox is a beauty and lifestyle monthly box for women. 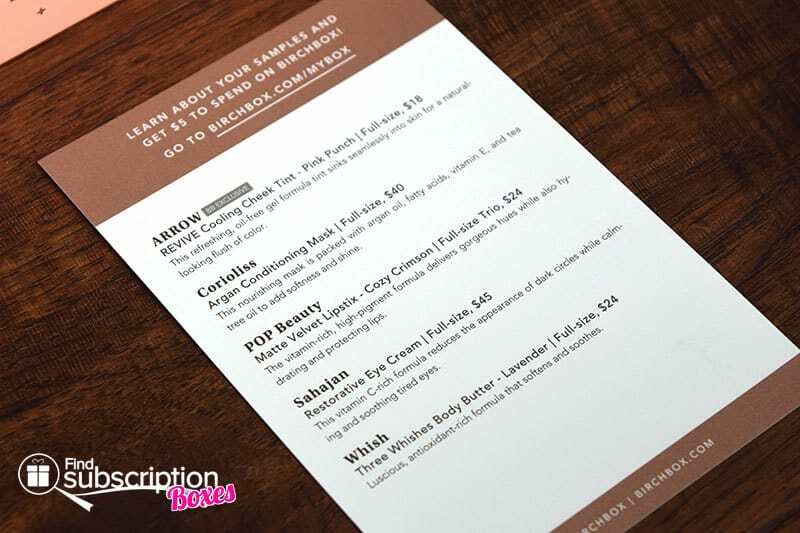 For just $10 a month, Birchbox sends a customized box of makeup, skin care, hair care, and more. 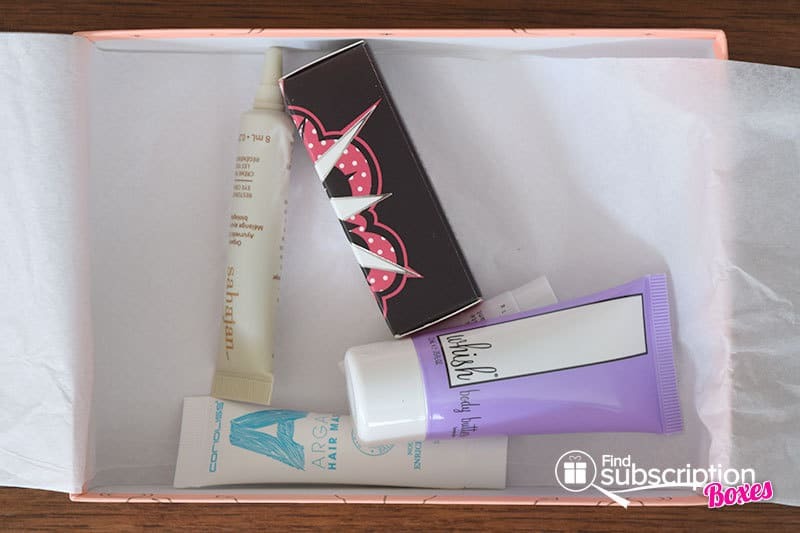 With today’s Birchbox review, we’re unboxing our February 2016 Birchbox. Birchbox includes a card shares that month’s theme. The February theme was “What’s the occasion?” The card also provides a description of that month’s customized beauty picks. 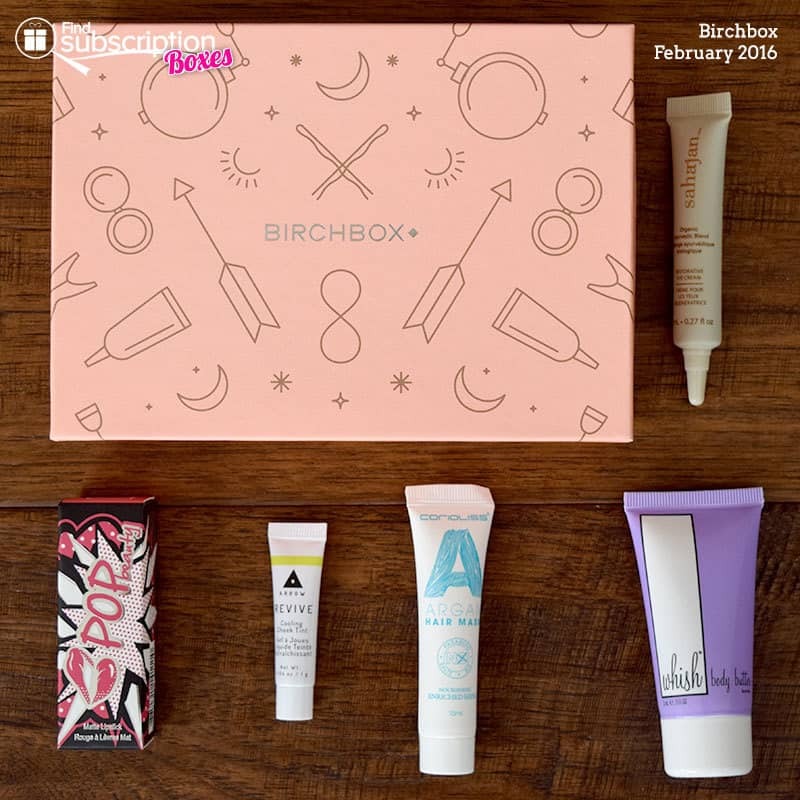 Here’s a first look inside our Birchbox February 2016 box. There were 5 beauty picks in our February Birchbox. Soften and sooth your skin with this lavender-scented body butter lotion. Get gorgeous hues, while you hydrate and protect your lips with this vitamin-rich lipstick. A Birchbox exclusive, this gel formula adds a tint of pink for a natural-looking flush. Wake-up tired eyes and reduce the appearance of dark circles with this rejuvenating cream. The nourishing oils and Vitamins in this hair mask help revive dry Winter hair. Our February Birchbox had a mix of unique products that will help us freshen up for Spring, or for any occasion. We’re fans of Whish and love the light scent of their Lavender body butter. We love the subtle pink tink for more natural looks. The bold lipstick is great for making a statement while still nourishing your lips. What was your favorite February Birchbox product?